The Cable Car Museum was established in 1974. It is operated by the Friends of the Cable Car Museum as a nonprofit educational facility. 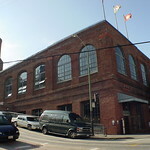 Located in the historic Washington/Mason cable car barn and powerhouse, the museum deck overlooks the huge engines and winding wheels that pull the cables.